Can You Retrain Your Taste? A 2016 study published in the American Journal of Clinical Nutrition examined the effect of reduced simple sugar intake on a group of “healthy” men and women. The study broke the participants up into two groups, with one group assigned a low-sugar diet and the other group continuing to eat their usual high-sugar diet. After 3 months of this, both groups were left to eat however they pleased for yet another month. Each month during the study, participants were asked to rate the sweetness and “pleasantness” of vanilla puddings and raspberry beverages that varied in sugar concentration. After the third month of dieting, the low-sugar group rated the pudding to be around 40 percent sweeter than the control group, regardless of how much sugar the pudding contained. 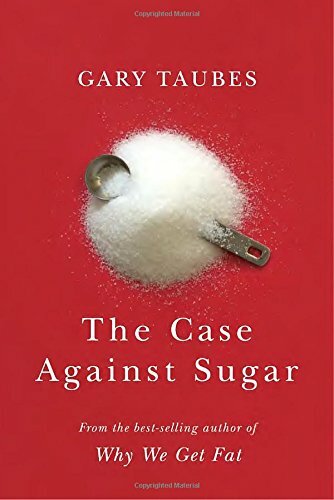 The conclusion was simple: “changes in consumption of simple sugars influence perceived sweet taste intensity.” Meaning that the less sugar you eat over the long term, the more things taste sweeter and, therefore, tastier. Researchers found that the low-sugar group took on average two months for their tastebuds to recognize any difference in sweetness and pleasantness—and yet another month for that sweetness to intensify. The takeaway here? A little patience will yield long-term dividends. But what about salt addiction? Similar to sugar, lowering intake of sodium-rich foods has been shown to decrease your reliance on salt. An impressively long 1-year study found that “reduction in sodium intake and excretion accompanied a shift in preference toward less salt.” Researchers surmised that the mechanisms behind this reduction in salt addiction were varied, and included physiological, behavioral, and context effects. Not the ultra-conclusive reasoning you were hoping for, but it looks as if particularly overzealous salt cravings should drop significantly when you switch to a naturally salt-moderated, low processed-food diet. Still, let’s not neglect some stubborn truths. While the health and scientific community continues to hate on salt, very few studies have examined the importance of salt for maintaining a healthy body. While these studies may be relatively few, evidence suggests that salt may play an essential role in excreting cortisol (the “stress hormone”) from the body, thereby improving recovery time from stressful events and situations. Salt has also been shown to decrease strain during exercise by increasing hydration. Studies indicate that knocking back a sodium-rich beverage prior to exercising increases plasma volume, which in turn reduces the strain on your body during exercise and helps you reach higher levels of performance. And then there’s the point that salt just makes food taste better…. Just make a point of sticking with the good stuff—high quality sources like Himalayan pink salt, Real Salt, and Celtic sea salt. These natural, unrefined versions provide all of the taste of salt and, unlike table salt, still include all the essential minerals your body needs to rehydrate those cells and help to evenly distribute all that sodium. If your body has been inundated with sugar-intensive processed foods for the last few years/decades, it may be a little confused as to what it actually wants to taste. Rewiring your tastebuds, then, is no small task for both your brain and your digestive system. Luckily, all that’s required of you is to stay the course of good eating. That said, it’s helpful as always to understand the bigger picture. There isn’t much it seems the gut isn’t involved in, and taste is no exception apparently. A team at the Department of Neuroscience at Mount Sinai School of Medicine discovered that the taste receptor T1R3 and the G protein gustducin are located in the gut, as well as the mouth. These taste receptors are essential to tasting sweetness in the foods we eat, and we now know that they play an important role in sensing glucose within our gastrointestinal tract. This role goes far beyond simply “tasting” carbohydrates and other sugary or sweet foods within your gut. When you eat these foods, the sweet-sensing taste receptors in your large intestine activate the release of hormones that promote insulin secretion and regulate appetite. This means that if your gut health is lacking, its ability to sense carbs and produce insulin may be impaired. A 2012 study published in the British Medical Journal found that obese kids develop an insensitivity to taste. Researchers examined close to 200 children between the ages of 6 and 18, half of whom were a normal weight and half classified as obese. Each of the participants was asked to place 22 taste strips on their tongue, simulating each of the five levels of taste at varying intensities. Obese children found it significantly more difficult to differentiate between the different taste sensations, and were particularly insensitive to salty, umami and bitter tastes. Children who were obese also gave lower intensity ratings to sweet foods, meaning they needed more sugar in foods to achieve the same sensation of sweetness. The take-away is simple: the more weight we put on, the less likely we are to enjoy the food we eat or to recognize the mounting sugar or salt levels we likely take in for the same taste experience. There may be more of a lag time in rejuvenating full taste sensitivity if we’re reversing obesity as well as shifting our diets, but the end point is the same.